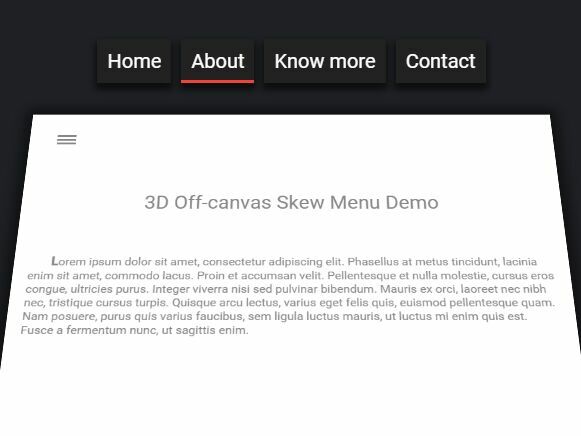 All the Free jQuery Plugins about 'off canvas menu' are listed here. 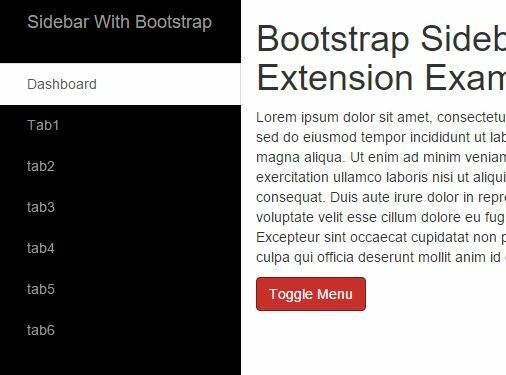 Bootstrap Offcanvas is a jQuery plugin that converts default Bootstrap navbar component into an user-friendly off-canvas side menu in mobile views. 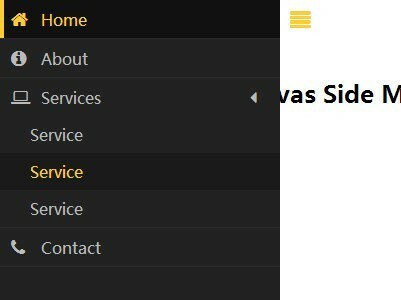 sidr is a jQuery plugin that make it easy to create responsive side menus with cool themes on your web page. 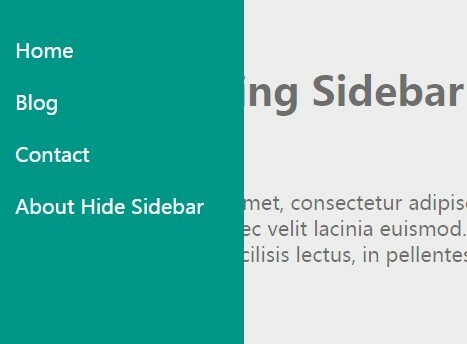 slidePanel is a jQuery plugin to create simple slide-in panels which allows you to quickly show side content like off-canvas menu, sliding sidebar, etc. 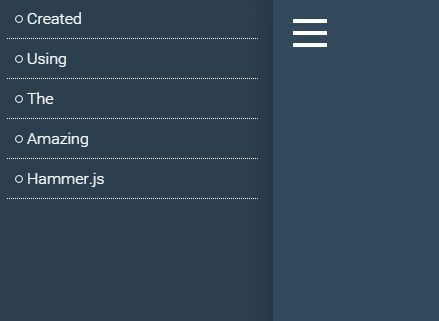 A jQuery, hammer.js based sidebar plugin that creates responsive, fluid, mobile first on- and off-canvas navigation panels for your website and web app. 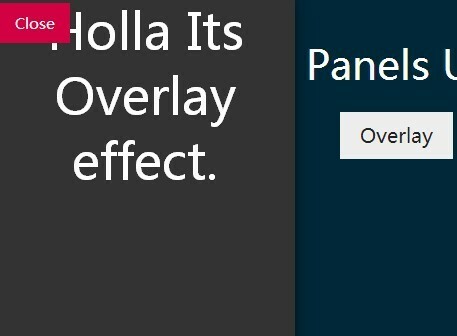 Iptools Offcanvas is a really simple jQuery plugin that uses CSS3 transitions and transforms to create an overlaying, multi-purpose off-canvas panel. 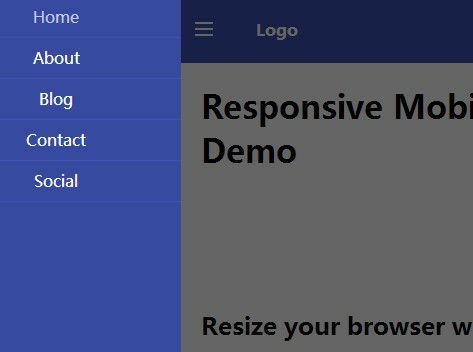 Adaptive Menu is a lightweight jQuery plugin used to create a responsive menu that will auto switches to an off-canvas side navigation on small screens. 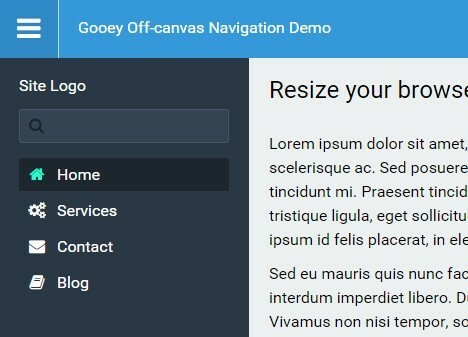 Snavvy is a lightweight jQuery plugin for creating a mobile-friendly navigation that slides out a fullscreen, off-canvas menu covering the whole page when toggled. 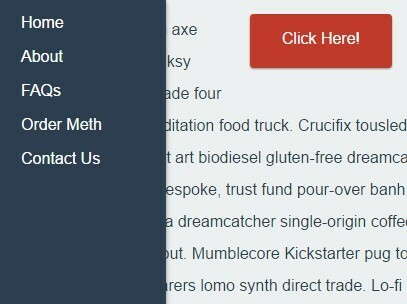 gnmenu.js is a jQuery plugin used to create a convenient slide-out sidebar navigation for both desktop and mobile webpages. Inspired by the Google Nexus website. 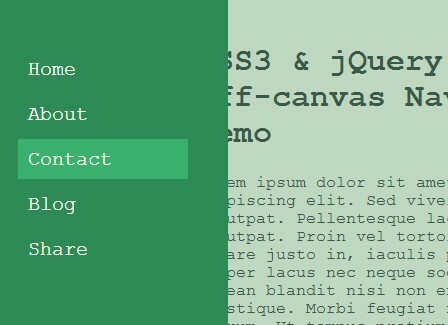 PopupLayer is a cool jQuery plugin that creates off-canvas drawers sliding out from any position of the webpage, while blurring the other web content. 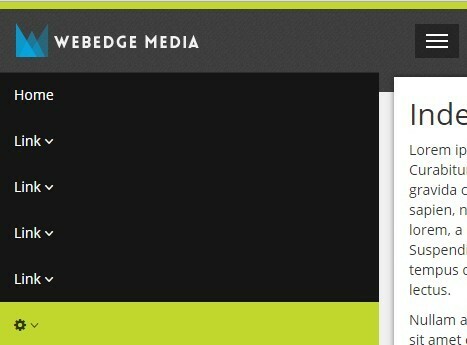 bigSlide is a jQuery menu plugin for creating an off-screen side panel navigation that slides out from the left side of your page and 'pushes' the body content to the right. 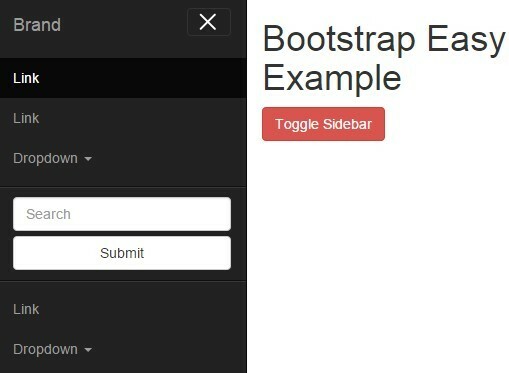 Just another jQuery extension of Bootstrap that automatically converts the native Bootstrap header navbar into an off-canvas navigation menu in mobile view. 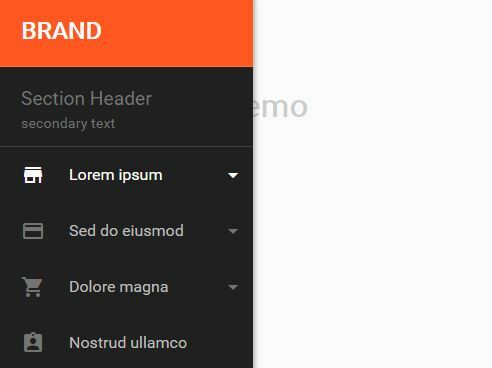 Slidemenu is a jQuery plugin to create a sidebar navigation that slides out an off-canvas menu panel with smooth transitions when toggled. 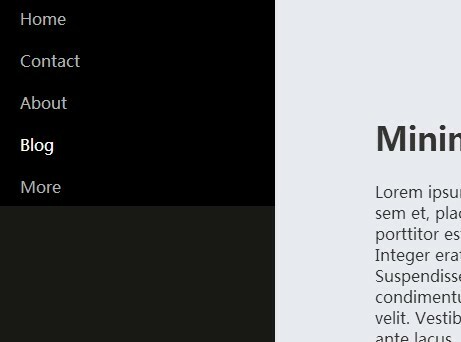 Sidebar.js is a lightweight and easy-to-use jQuery plugin that lets you create an off-screen, toggleable off-canvas sidebar for site navigation or control panels. 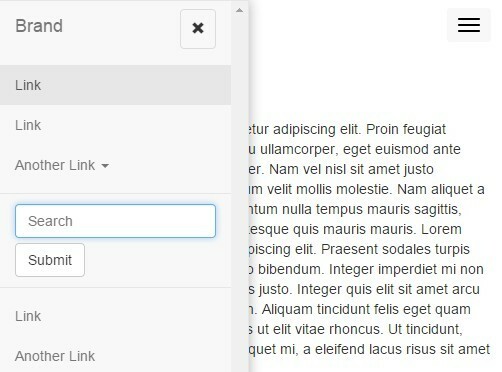 A jQuery plugin that lets you create mobile app-style revealing sidebars (also known as off-canvas sidebar) for site navigation, drawer panels and any other side content. 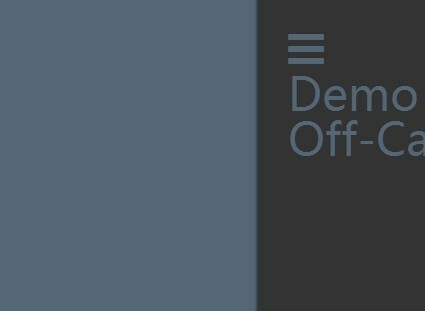 offcanvas.js is a lightweight jQuery plugin that extends the default Bootstrap navigation to create an Android style sliding off-canvas menu on small screens. 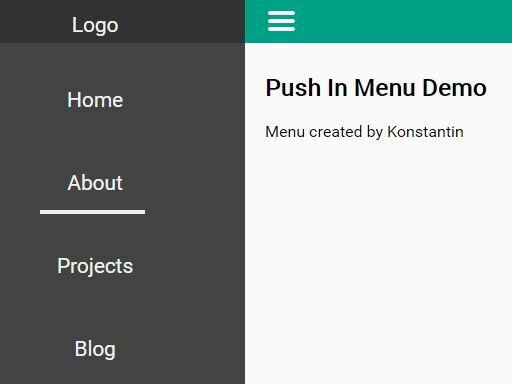 Push Menu is a jQuery plugin used to create an Android style navigation drawer (also known as off-canvas menu) that slides in from the left side of the webpage. 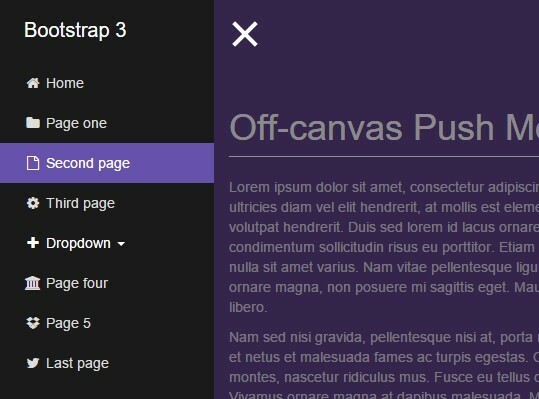 Bootstrap Drawer is a JQuery plugin which adds mobile-friendly, app-style, off-canvas drawer panels/navigation to your Bootstrap project. 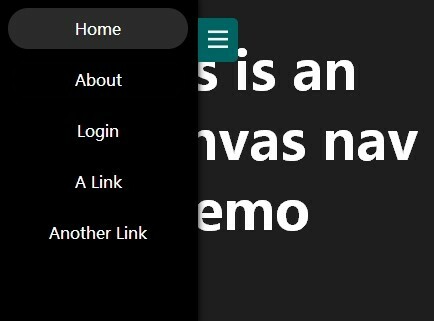 A jQuery & CSS extension that creates a CSS3 animated, toggleable off-canvas sidebar for your Bootstrap based webpages. 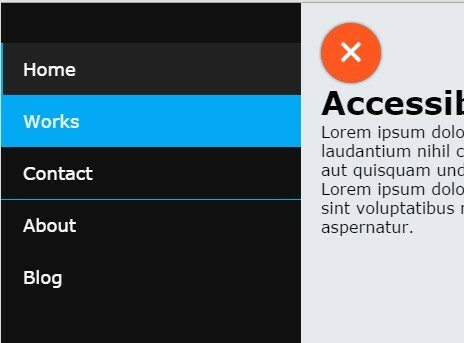 A jQuery / CSS3 / Hammer.js based, Android style navigation which allows the user to reveal / hide an off-canvas sidebar menu via touch swipe and mouse drag events. 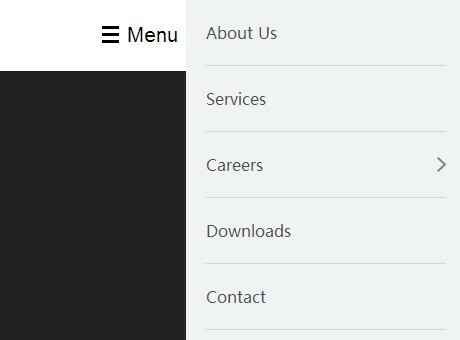 Tuxedo Menu is a lightweight, space-saving jQuery navigation plugin which reveals a sidebar navigation (off-canvas menu) covering some part of your main content. 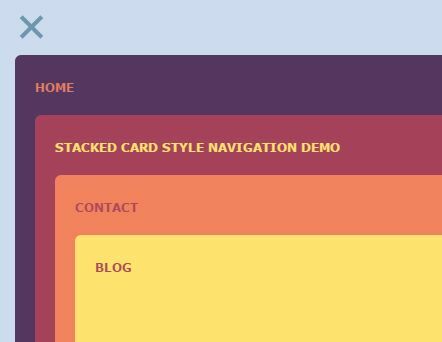 An awesome off-canvas navigation concept built with jQuery and CSS3 that allows you to switch between sectioned pages like stacked cards. 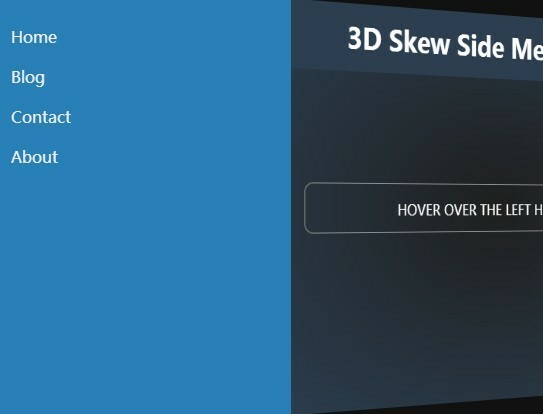 A cool 3D navigation that uses jQuery and several CSS3 properties to reveal a horizontal off-canvas menu while 'skewing' the main content section. 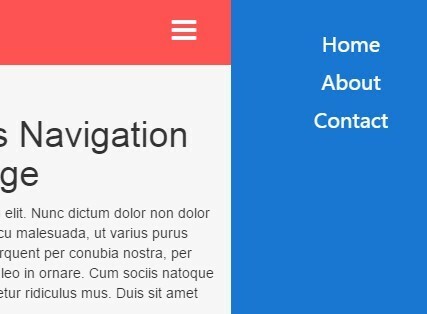 NavSide is a jQuery sidebar navigation plugin which helps you implement a mobile app style off-canvas menu with smooth slideIn / slideOut effects on your webpage. 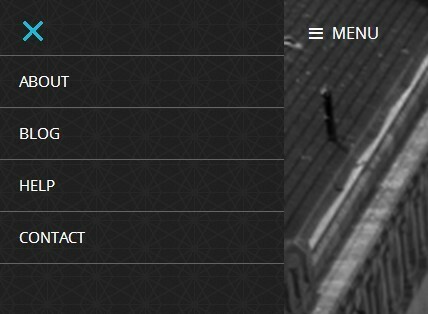 A cool jQuery navigation concept that uses CSS3 transitions and transforms to reveal an off-screen navigation menu with a page tilt effect. 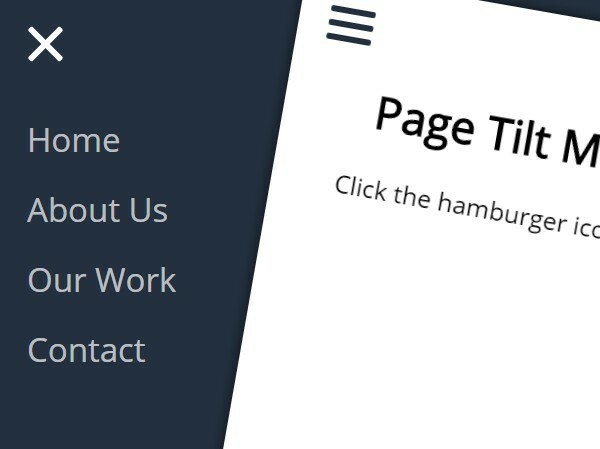 A cool off-canvas hamburger navigation menu for your mobile & desktop website, built using jQuery and CSS3 transforms &transitions. 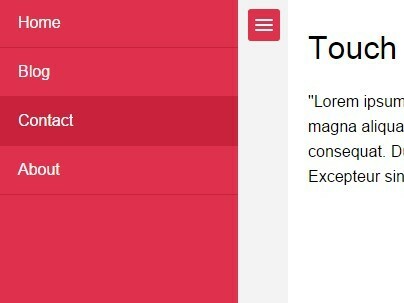 A jQuery & CSS approach to turning the default Bootstrap navigation into a responsive, toggleable off-canvas menu. 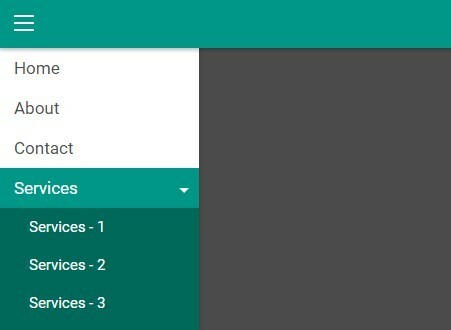 Yet another off-canvas menu system that helps you create a toggleable sidebar navigation that behaves like a native side navigation as you seen on Android apps. 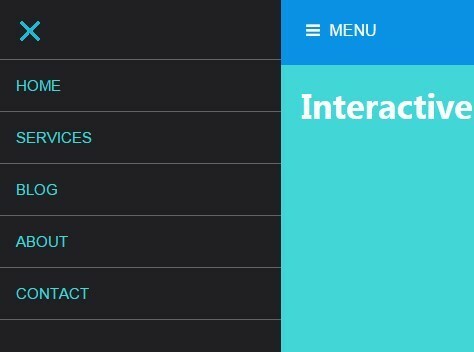 A simple, lightweight jQuery plugin used to create a mobile-first sliding off-canvas menu that uses jQuery touchSwipe library for touch events support. 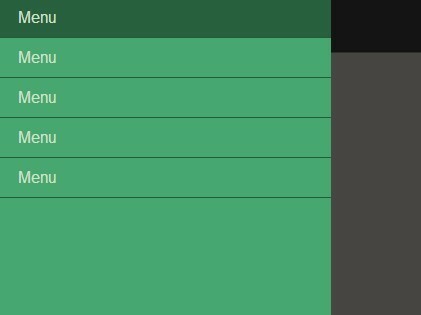 A mobile friendly off-canvas side navigation built with jQuery and CSS that allows you to reveal and hide the side menu with touch swipe events. 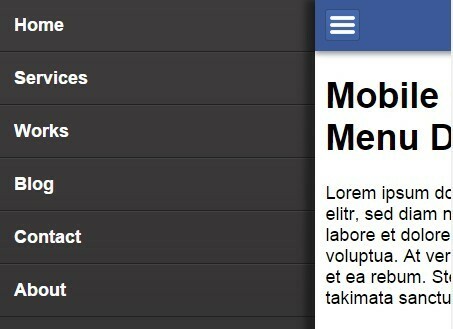 nb2sb is a jQuery plugin that transform the Bootstrap's collapsed mobile navbar into a sidebar (off-canvas) navigation. 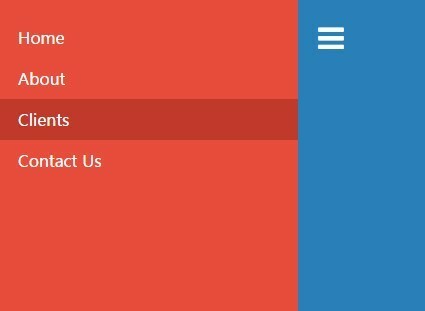 jvette is a lightweight, unobtrusive jQuery plugin used to create a responsive, fully evented off-canvas navigation with silky smooth CSS3 animations. 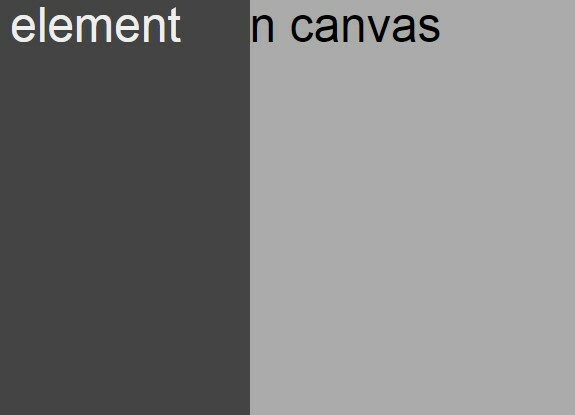 A simple, unobtrusive jQuery plugin used to create familiar 'off-canvas' effects within any containers. 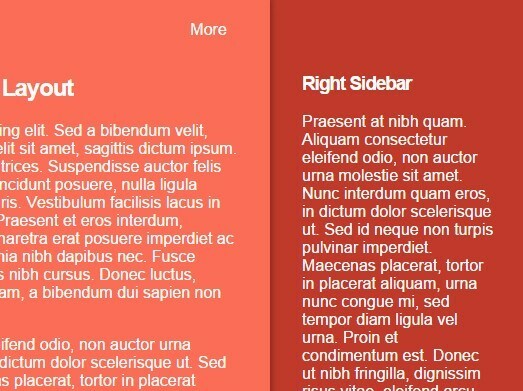 A sidebar navigation that utilizes CSS3 transforms and transitions to slide in/out an off-canvas menu with smooth animations. 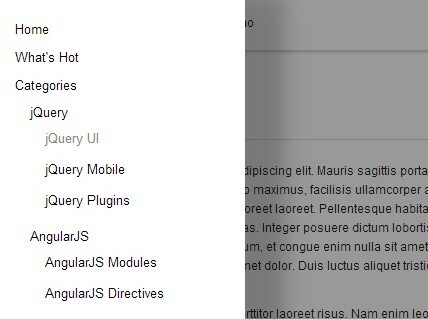 Bamboo.js is a tiny jQuery plugin helps you create a responsive, mobile-friendly, sticky toggle menu for your website. 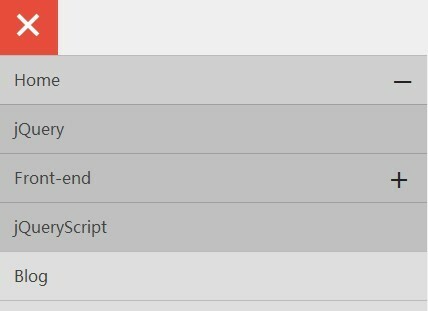 A jQuery & CSS based sliding off-canvas sidebar navigation that comes with a full window overlay covering the whole page when toggled. 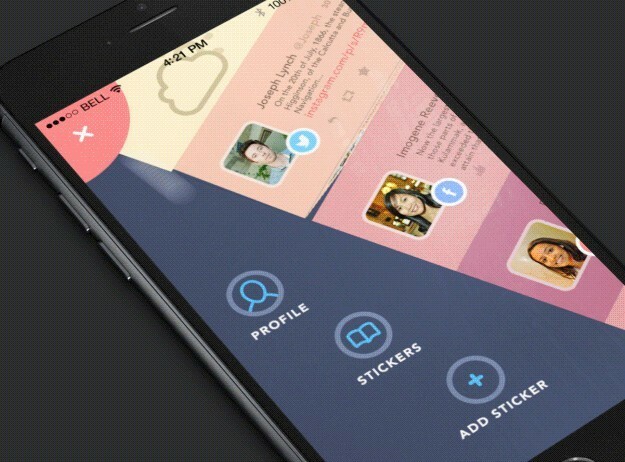 A 3 column responsive layout that automatically transforms left and right sidebars into toggleable off-canvas panels in mobile view. 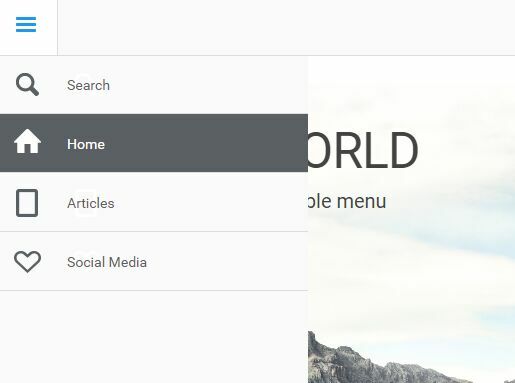 Simple Sidebar is a lightweight and highly customizable jQuery plugin for creating an off-canvas sidebar navigation sliding out from the left/right side of your browser window. 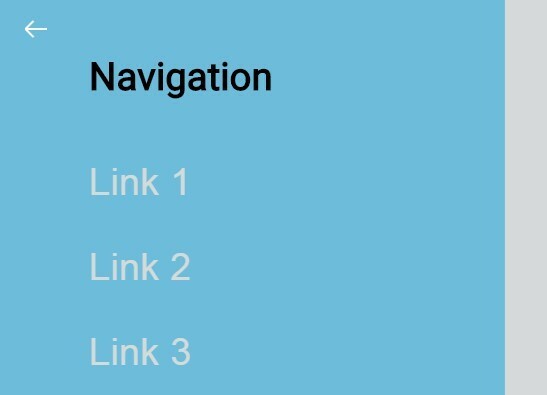 A minimalist jQuery & CSS3 implementation of mobile-friendly navigation that automatically collapses a regular navigation into an off-canvas menu on smaller viewports. 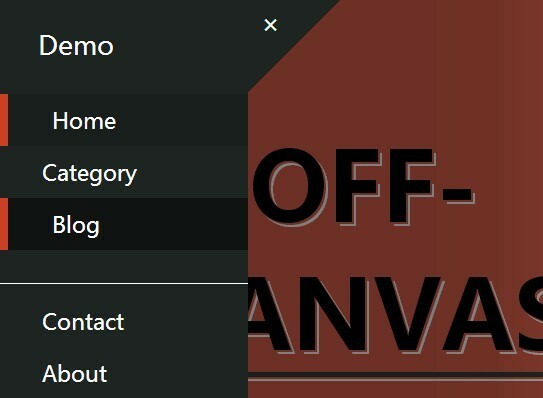 Takes advantages of CSS3 transitions/transforms and a little jQuery magic to create a stylish, animated off-canvas sidebar menu for your websites or web applications. 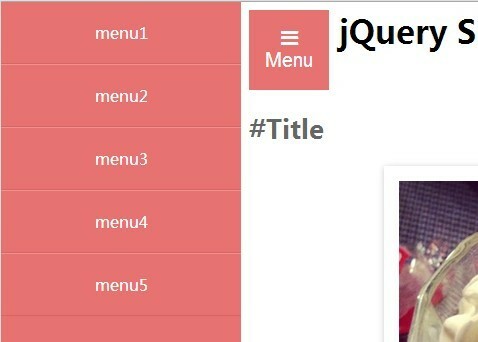 A jQuery responsive menu plugin which transform a normal horizontal navigation menu into an off-canvas toggle menu on smaller screen devices. 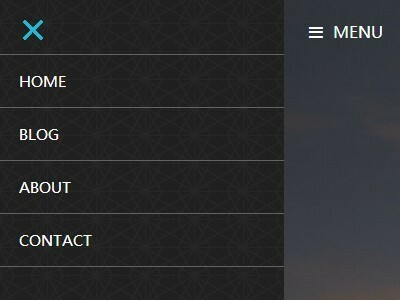 A jQuery/CSS3 based off-canvas sidebar navigation that slides in from the left when toggled and covers the main content with a gradient overlay. 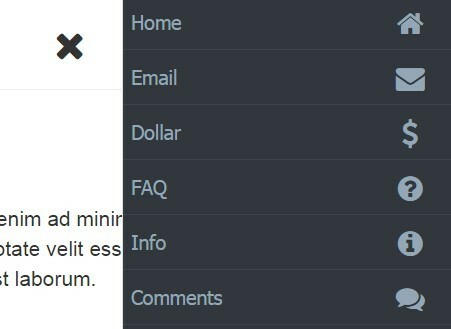 gxSideMenu is a responsive, mobile-friendly side menu plugin for revealing a multi-level sliding offscreen navigation triggered by custom events. 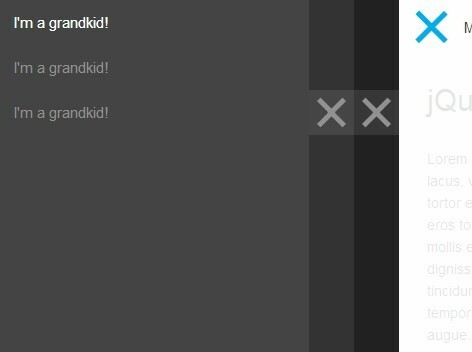 Yet another jQuery based responsive off-canvas navigation that supports multi-level menus and CSS3 powered sliding animations. 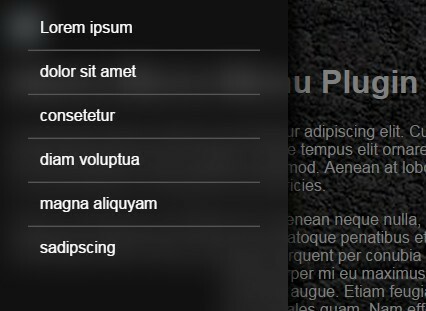 A cool side navigation which allows you to reveal an off-canvas menu with an impressive 3D skew effect based on CSS3. 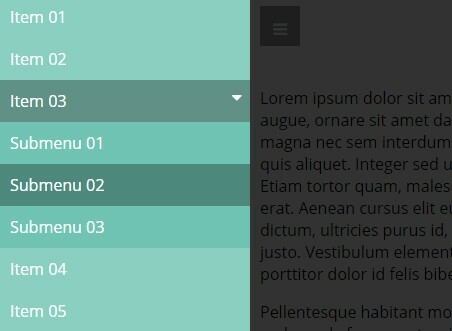 A stylish responsive jQuery navigation script that converts a horizontal navigation bar into a toggleable off-canvas menu on small screen devices. 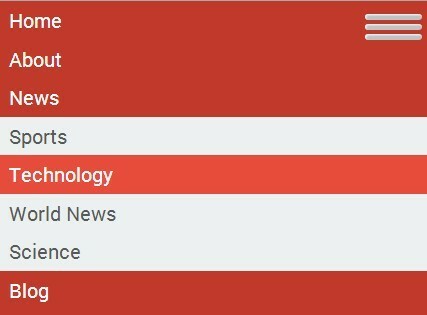 When you click a trigger, a sidebar menu slides out from the left hand side of your screen and shrinks the document content with a transparent mask. 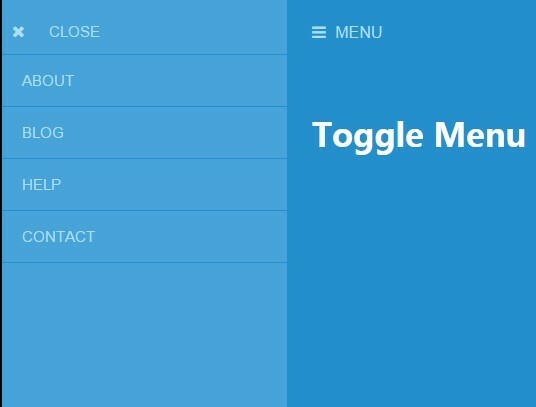 A lightweight mobile App-style off-canvas navigation menu using jQuery toggleClass() function, CSS flexible box layout and CSS3 transitions & transforms. 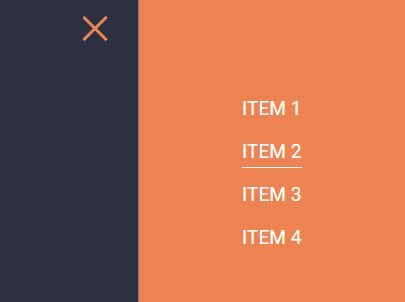 Yet another jQuery & CSS3 responsive off-canvas sliding menu system that supports 3-tier sub-menus based on nested Html lists. 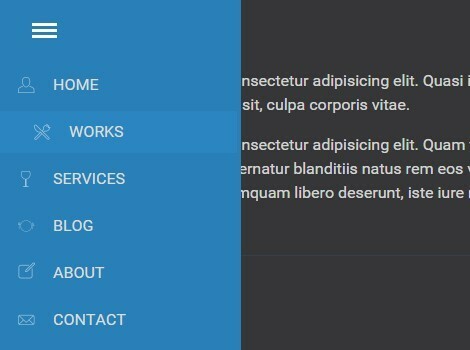 Yet another jQuery navigation plugin for creating a sticky multi-level top menu bar that will be converted into a mobile-friendly off-canvas sliding navigation on small screen devices.